Today, April 12th, has been designated as National Equal Pay Day, “the date in the current year that represents the extra days a typical woman working full-time would have to work just to make the same as a typical man did in the previous year,” according to the White House. To honor this day, below are some of the most essential facts to understand about the gender pay gap in the U.S. The average woman earns about 78 percent of what her male counterpart earns – In other words, for every $1 a man in a given occupation earns, a female working in the same occupation (for the same number of hours) will typically earn about 78 cents. While labor experts have attributed this significant pay disparity to be attributed to (at least in part) the fact that women are commonly the targets of gender discrimination in the workplace, it has also been linked to women taking time out of work to start families, as well as some other factors. The gender pay gap tends to increase with age – In fact, some studies have found that, while working women who are younger than 35 will generally earn about 90 percent of what their male counterparts earn, at 35 and older, the gender wage gap grows, with women’s earning falling to 76 percent of what men earn (or possibly even less than that). Race and ethnicity can also expand the gender wage gap – When analyzing how the gender wage gap fluctuates for females of different ethnic backgrounds, findings have revealed that African American and Hispanic women tend to be subjected to the most significant pay disparities, earning 60 cents or 54 cents (respectively) for every $1 earned by a white man in the same occupation. Education does not necessarily eliminate the gender pay gap – This effectively means that even highly educated women in respected professions can impacted by the gender wage gap. The unfortunately reality underlying this fact is that the gender wage gap is incredibly difficult to dodge for women – even those at the highest levels of their industry or profession. 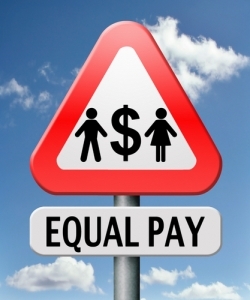 Salary is just one way in which the gender pay gap can manifest itself – In fact, while women generally earn less than men do in terms of take-home pay, they also tend to be cheated out of other compensation – like bonuses, health care benefits, and other employment benefits – that are commonly offered to men in the same or similar positions. This can mean that the gender wage gap has profound impacts of women’s overall earnings. What do you think about these facts? Share your opinions with us on Facebook & Google+. And please share these facts with others to support National Equal Pay Day. If you have been the target of an employer’s wage violations – or if your employer has violated your rights as a California worker in any way, contact a Sherman Oaks employment lawyer at Koron & Podolsky, LLP to find out more about your options for justice. You can call us today at 818-380-3077, or email us using the contact form on this page for more information about your potential case and how to proceed. From Sherman Oaks, our lawyers provide superior representation to people throughout Los Angeles County, Orange County, Ventura County, and the state of California.